Thought I'd say hi. I've been viewing the forum and FB group for a few weeks now after developing a sudden urge to buy a VX220. I've been scouring all the usual places and viewed a NA (VE52 LZN) at a local Suzuki dealership today. All seemed good but I tend to buy my cars via owner groups so the search is on. Got to say. Great to see such a wealth of information here as i enjoy doing my own spannering. Welcome to the group. be prepared to travel to find the right one for you. John Seal Sports Cars (jonnyboy on the site) usually has some very good examples in stock. He knows his stuff and is a top bloke. Thanks. I don't mind a bit of a mission to get a good car. Thanks for pointing me towards Jon Seal. I'm at the bottom end of the market (c10k) so unlikely I'll be able to purchase from them unfortunately. However the 54k miler they have would be right up my street had it not been the only forbidden colour (on Mrs mowflows orders). I'd seriously consider overlooking colour choice. There are hardly any decent vx220s left any more so colour should be way down the priority list. Im staggered that we still have the yellow one it's an amazing buy. Yellow is the best colour ....apart from there seem to be 5 yellows around Stirling now. anyway welcome and hope you find the perfect car for you. Thanks Haston. The search is still young. Odd there are so many VX's around Stirling. I'm the opposite side of Glasgow and I never see any yellow or any other colour around here or even in the city centre. I know there's another blue one goes around Alloa too. Are you planning on doing any trackdays? Edited by Haston, 21 January 2019 - 12:28 PM. Nothing planned until I find a car but it's probably on the cards. The car will be getting bought to be enjoyed. Welcome to the funny farm, they are really rewarding to spanner but do have a few quirks. HI, I'm a newb on here too, I think many will be waiting until spring has spring to list cars for sale, I will be with mine anyway. Looking back at the sales section you could have a point. Still seems to be a few good ones (in my limited knowledge) for sale at the moment. Thank you for the offer MattMack. 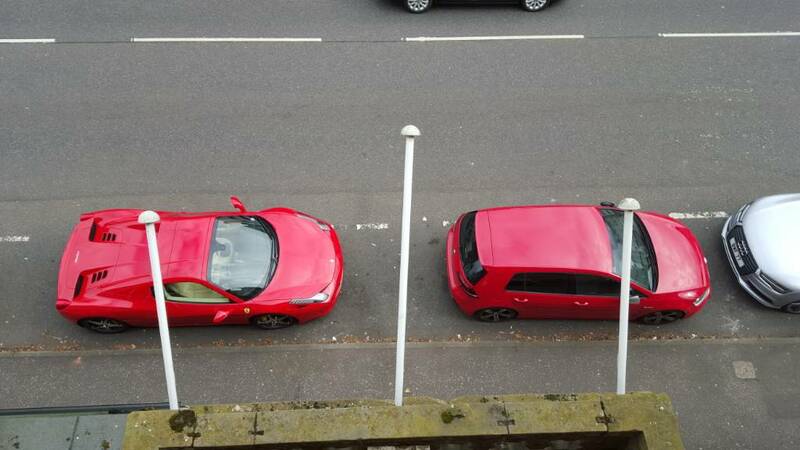 Last time I was in Bridge of Allen (stayed there for a wedding) some selfish sod parked their Ferrari next to my golf. hahah! Typical! There are some nice cars here, We were at a cafe on the main street when a Yellow 918 Porsche showed up! People from all directions just surrounded it to take photographs!